My girl is in love with origami AND with dollhouses. She’s always trying to make her own out of paper, actually. I guess you’d say this book is a match made in heaven! I may have started bouncing in my seat when I found it? 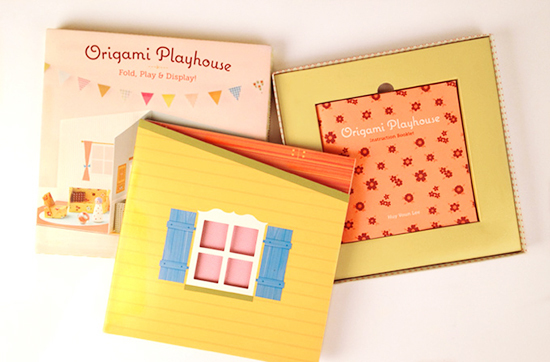 Origami Playhouse is the perfect solution for little girls (and boys?) who love to make houses. 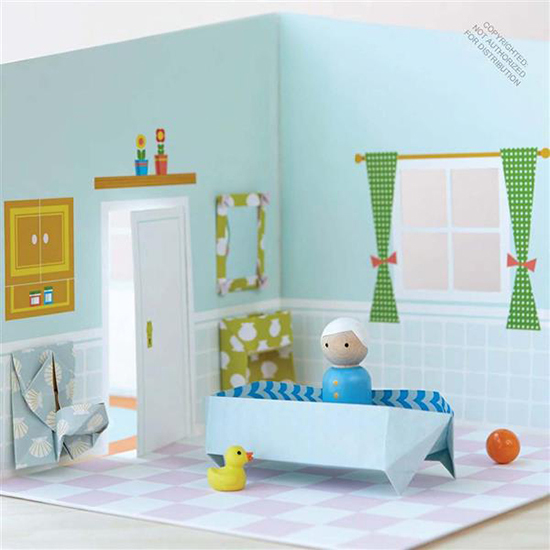 It includes a book full of origami furniture to make, the paper to start making them, and a pre-made fold out house to play with. That means you can get playtime going even faster! How completely adorable! I would have loved this as a kid. 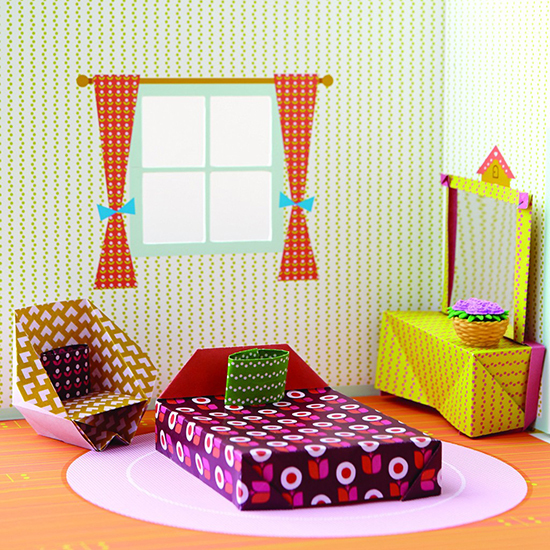 Same here – I was a total paper and dollhouse junkie! Isn’t it brilliant?! Wish I’d thought of it first!